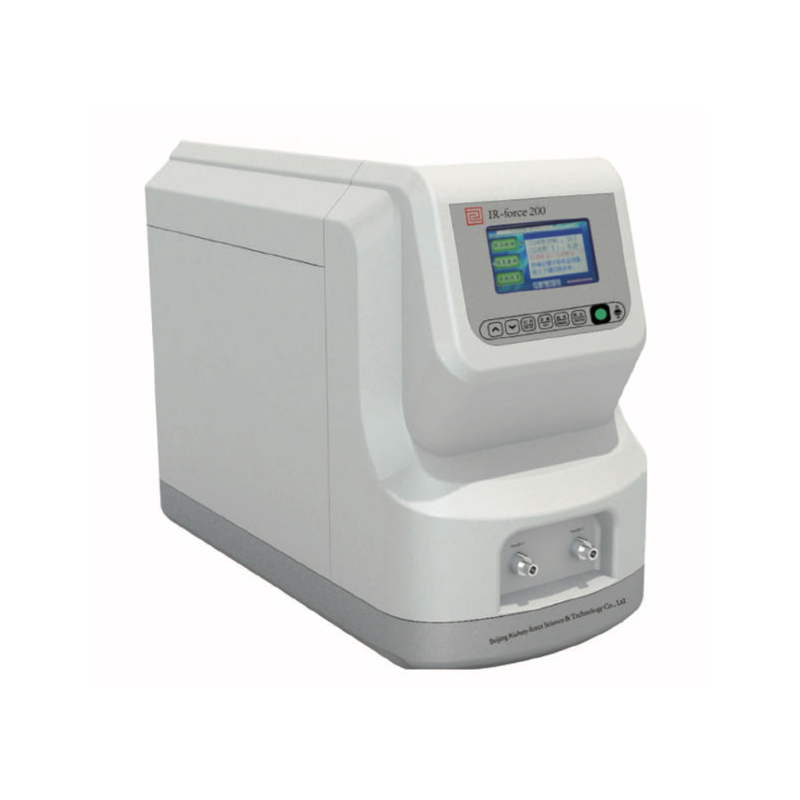 Infrared Spectrometer series 200 | Richen Europe S.r.l. IR Force 200 is an instrument targeted to the needs of professionals and health sector operators and is designed to guarantee an efficient and rapid response in the diagnosis of infections of the gastrointestinal apparatus. Its modest dimensions and its sophisticated system of analysis and reporting represent the best choice for the user, guaranteeing value for money and an elevated quality/price ratio associated with an optimal performance for small and medium routines. The instrument is user-friendly and does not require specialised personnel for its use. IR Force 200 is a state of the art analyser of great versatility and comes in a compact all-in-one format. In fact, this instrument does not require any further accessories as the colour touch screen, the IR analysis module and the computer are internally integrated. The instrument, thanks to its reduced dimensions, can be positioned anywhere in a studio or laboratory and can be configured with a 2 workstation reader unit that allows the analysis of a 13C Urea Breath Test in just a few minutes. The engineering experience of the RICHEN MEDICA SCIENCE group developed over many years has brought this infrared system within the means of every professional, giving them special integrated sensors NDIR for the measurement of the isotopic rapport 12C / 13C in samples of breath tests following the administration of a marked substrate 13C. The instrument is easy to install and does not require maintenance. IR Force 200 has a high rate of accuracy (< 0.3 6 %0 13C) and an optimal steadfastness of execution, assisted by the exclusive system of reading controlled by a special integrated thermometer that stabilises the temperature maintaining it constant. IR Force 200 possesses an integrated internal calibrator and does not require cylinders, thereby allowing a reading in under 2 minutes for samples of breath tests of 120 ml in aluminium bags. The software allows the user a constant monitoring of all the operations and functionalities. The system is equipped with an automatic recording and patient analysis results procedure. Gas All gasses are transported in the analyser by means of an integrated pump. An anti-dust filter and a C02 filter impede any type of contamination of the analyser from any type of air from the instrument.